This entry was posted on Sunday, October 5th, 2008 at 9:10 pm. It is filed under Dancefloor Bangers and tagged with Dubstep, Tes La Rok. You can follow any responses to this entry through the RSS 2.0 feed. How the hell they’re callin it the Black Monday?! 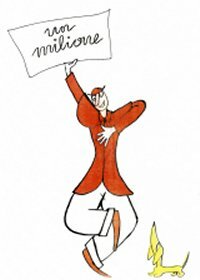 quando arriveremo a un milione che banconota metteremo? Cazzo fantastica citazione, il signor bonaventura…..che ricordi…. il corrierino (formerly known as corriere dei piccoli)! a sto punto bisogna arrivare a un milione solo per poterla usare!